Starting the morning with a great cup of coffee can literally change how you feel. Not only does coffee give us that extra jolt when feeling low, but our coffee addiction is one of the guilty pleasures that not many will complain to you about. In this guide we will cover different types of coffee and brands for your search for the best tasting coffee. Our coffee reviews will give you our opinion and we hope that it helps you make a better buying decision. Despite everyone has their own personal tastes, exploring new coffees can be a fun an exciting way to change up your regular routine. Who knows, you just might find a new favorite on this page! Kona coffee is a specific type of bean, only grown on Hawaii. Koa Coffee started out as a small backyard operation in 1997 and has nearly doubled in size most years since then. The brand rose to prominence in the early 2000's, winning critical acclaim with its 100% hand-picked Kona beans and heritage blends. Koa roasts in Honolulu and ships its products around the world. Koa Coffee is sold in a variety of grades. We think that the Estate blends offer the best value because you get beans from the top 3 grades in the bag. This means you get the best taste, but don't pay as much as if you bought only Extra Fancy beans. Founded in Waitsfield, Vermont in 1981, Green Mountain started out life as a local store for coffee enthusiasts. It grew and expanded its business nationally. Meanwhile, Green Mountain nurtured a group of entrepreneurs from Massachusetts who were interested in creating a new kind of single cup coffee brewer, the Keurig. Green Mountain continued to invest in the Keurig operation and produced companion products: single serve coffee cups, K-Cups, designed to be used by this new kind of coffee maker. In 1998, Green Mountain closed its retail stores to focus on providing its coffee to a growing list of corporate and private mail-order clients. While it began working with Keurig in 1993, Green Mountain Coffee finally acquired the manufacturer in 2006. Green Mountain's history as a specialty coffee dealer is still apparent in their products. Their fair trade coffee pods cover a variety of origins and roast styles -- and they taste quite good. 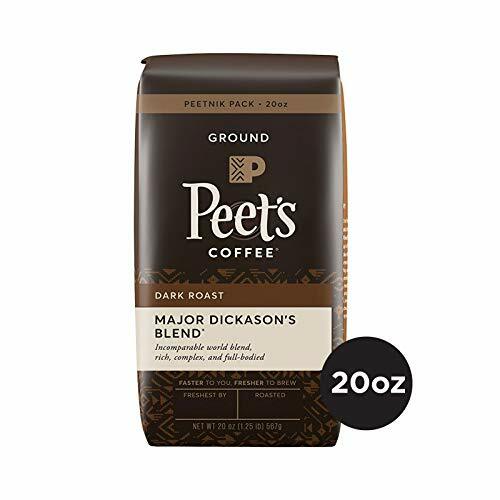 Hailing from Berkeley, California, Peet's Coffee is credited with introducing dark roasts and espressos to the California market. Peets and Starbucks have a complex, intertwined history. Peet's was the business model for the Starbucks chain, and all of the founders of Starbucks were good friends with Alfred Peet. They even bought their coffee from him for the first year of their operation. Peet's operates a couple hundred retail locations today. Its stores are primarily located in California, with many on or near college campuses. Peet's beans and K-Cups are available for sale at a number of retailers. Generally, their blends tend to be a bit better than their single origin offerings. Founded in 2008 in British Columbia, Organo Gold offers both instant coffee and brewing cups through its multi-level marketing platform. Its coffee is infused with Ganoderma, a mushroom used in some traditional Asian medicine. Ganoderma is purported to have a number of beneficial health effects, but there is no modern scientific evidence proving this. Organo does not sell beans. If you're interested in trying out Ganoderma and seeing how it affects you, give Organo Gold a shot. If you're just looking for instant coffee, however, we'd suggest another brand (like Medaglia d'Oro) or buying a Keurig. Founded in Turin in 1895, Lavazza is an Italian company that imports coffee from all over the world. It's the seventh largest coffee roaster in the world, with a market share of nearly 50% in Italy. 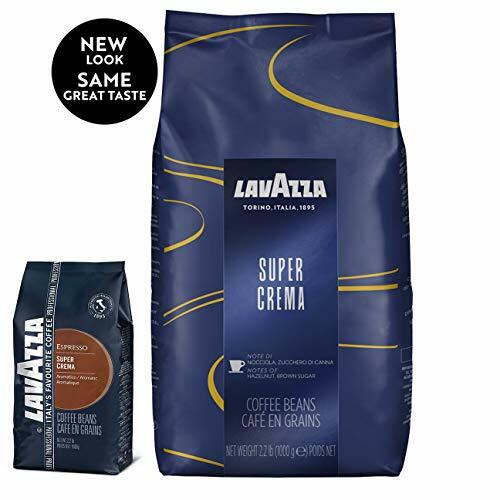 Lavazza claims it introduced the concept of blending, or combining beans of different specific origins to create a product with a distinctive taste. Lavazza maintains a network of research and training institutions that help to keep it at the forefront of the coffee world. While some of Lavazza's blends are on the mediocre side, their espresso blends remain unique and excellent. They beans as well as pods and capsules for a variety of specialty coffee machines. 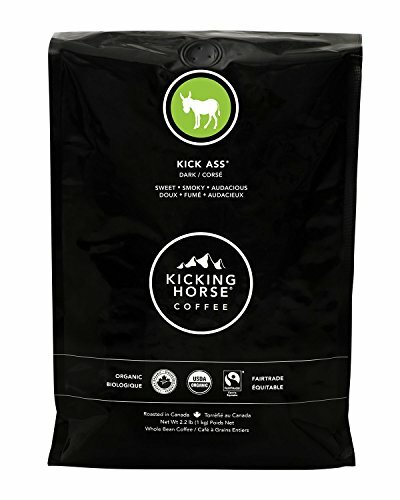 Founded in 1996 in British Columbia, Kicking Horse offers fair trade, organic coffee. They've been operating cafes since 2008 and they're consistently a top seller in Canada. Their above board approach doesn't just stop at fair trade. They were rated among the top 15 workplaces in Canada in 2015. Kicking Horse offers a number of high-quality blends, but their Three Sisters blend might be a good place to start to avoid going too far outside of your normal preference. 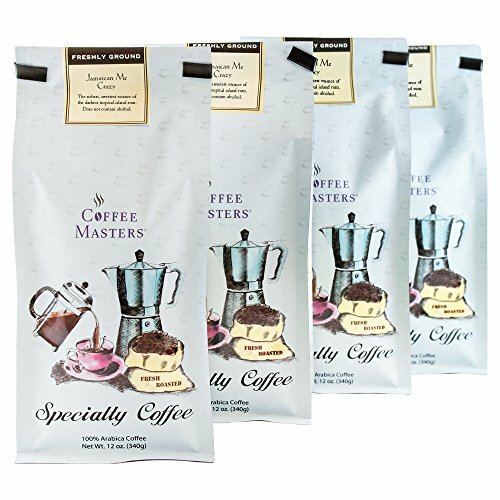 A wholesale distributor of coffee beans, Coffee Masters prides itself on quality. Coffee Masters sources its coffee from the top 3% of Arabica beans. Since 1985, it's delivered beans, syrups and flavored coffees to the US market. While Coffee Masters blends compete with some of the finest specialty distributors, its flavored roasts are exceptional. Check out their Caramel Kiss infused blend or, if you'd prefer your coffee straight, their Jamaican Me Crazy brew. Timothy's World Coffee was a project started by Timothy Snelgrove while he attended business school in Ontario, Canada. Initially a purveyor of premium roasted coffee beans, Timothy's has since expanded its retail operation to include brewed coffee. Timothy's roasts its coffee in Toronto. Its bean selling business has been acquired by Green Mountain Coffee, while the retail stores are owned separately. Their beans have fallen off a cliff recently. Some of their most popular products have been discontinued, but their blends still compete with other top premium distributors. Are you in a bit of a chocolatey mood? 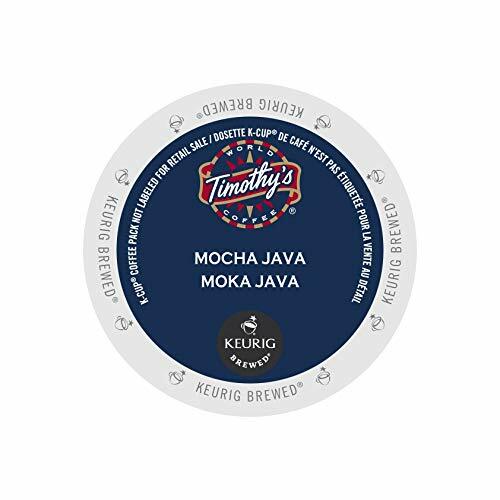 Check out Timothy's Mocha Java K-cups. Created in the mid 2000's as Saratoga Coffee Drinkers, Death Wish changed its name in 2012 as its business model shifted. The founder, Mike Brown, found himself inundated with customers asking for his "strongest cup of coffee," and began to experiment with his own blends and brews to try to meet this need. His current formula is a blend of both Arabica and Robusta beans, setting it apart from the competition (which primarily deals in pure Arabica). Death Wish won a small business contest and earned itself a free ad during the 2016 Super Bowl. SInce then, it's more than doubled in size and has begun to offer its beans for sale through various retailers nationwide. 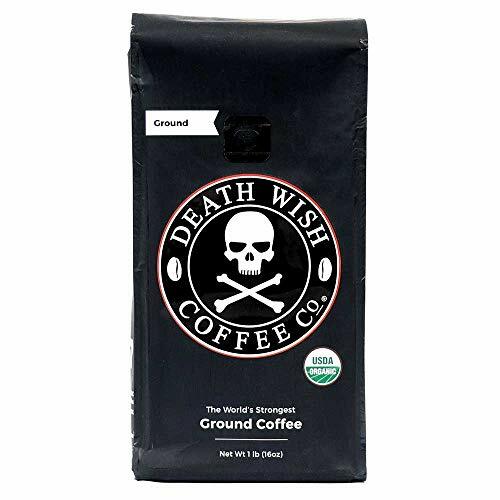 Death Wish's coffee isn't as good black as a premium, 100% Arabica blend, but it's still quite tasty. It has three times the caffeine per cup of a regular brew. 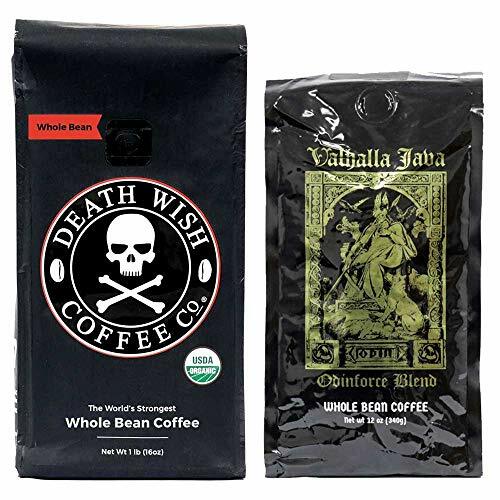 In other words, one cup of Death Wish will give you the same amount of jitters and energy as three cups of normal coffee. The decaffeination process isn’t the only thing that leaves some coffee drinkers concerned about the potential hazardous toxins and chemicals that might have been added to their coffee during production. 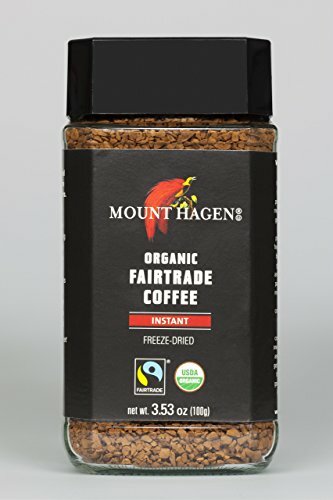 Organic coffee is only called such when it’s produced without artificial chemical substances, right down to the type of fertilizer used on the plants and the contents of the soil. 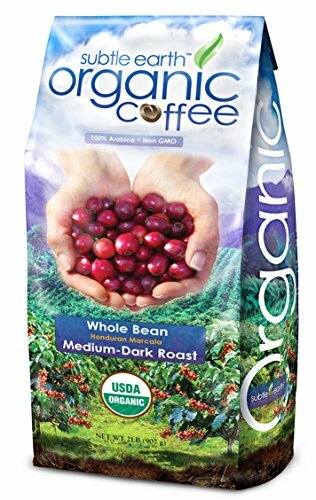 Certified organic coffee is grown using 100 percent organic fertilizer, and only farms where the soil has remained pesticide-and-chemical-fertilizer free for three whole years are certified as organic. There are several benefits to drinking organic coffee. Not only is it better for health, but it’s also better for the environment. Organic coffee beans look the same as regular ones, but the difference is inside. The special care that must be taken in growing coffee organically raises expenses for farmers and costs to consumers, but many coffee farmers who’ve tried going organic ended up reverting to their conventional ways due to lack of economic benefit. Sales of organic coffee comprise only about 3 percent of the overall coffee market. The solution is to take those coffee beans and grind them up, resulting in ground coffee. This exposes more of the surface area of the bean to the hot water in which it is placed, helping to release more coffee particles into the water. The finer the coffee is ground, the faster the coffee can be brewed. For this reason, the fineness to which coffee beans should be ground is dependent on the brewing method. Course grounds for a slower brew. It follows that one criteria for the best ground coffee, besides that it must be fresh and appropriately roasted, is that has been ground to a consistency fitting its intended method of brewing. The best tasting coffee not only meets this criteria but extra special care is taken in selecting the beans. For example, the best coffee for expresso features a perfect blend of both Arabica and Robusta beans. The best Kona coffee does more than just bear the name, but actually comes from the original coffee farmlands in the Kona district of Hawaii, with its volcano-enriched soil, ideal climate for growing coffee, and passionate farmers. The greatest benefit of instant coffee is the convenience of it. It’s fast and easy to make instant coffee. Plus, there are no concerns about stray coffee grounds ending up in the cup. The best instant coffee is made with passion and appreciation for what it is about coffee that enthusiasts of the drink have come to rave about. Still, the manufacturers can’t take all the credit or the blame for the way a cup of their instant coffee comes out, as even the best tasting instant coffee can be horrible if not rehydrated properly. Those who want to use instant coffee and actually get some enjoyment out of it must choose the brand carefully, buying only quality coffee. They must keep the container closed tightly when not in use, storing it away from moisture, heat, and sunlight. Moreover, they must take care to prepare the coffee according to the directions on the packaging. Coffee is a drink that offers several h﻿﻿ealth benefits. It can help ward off Alzheimer’s disease, enhances physical performance, and contains several important nutrients, such as riboflavin and pantothenic acid. There are several other great benefits of drinking coffee, but some people simply can’t tolerate the featured caffeine, so they opt for decaf instead. The Roselius process is no longer used commercially, due to concerns about how the chemicals involved negatively impacts human health. Methylene chloride was also quite popular and is still in use, but again, use of this chemical has been reduced, even abandoned by decaffeinators due to concerns about health side effects. One of the biggest challenges of coffee decaffeination is how to get the most caffeine out without also removing some of the other chemicals in the coffee that helps give it its signature flavor. The best decaf coffee comes from decaffeinators who have found the right balance in this. As we already know, those who truly want the best coffee must seek out a specialty provider from which to buy fresh, superior quality coffee beans. They must then master the techniques of both grinding and brewing the coffee because coffee is at its best when it’s the freshest. That instantly puts most grocery store coffee at a disadvantage. The majority of it is sold as grounds, although most stores also sell whole beans and offer in-store coffee grinding. For serious coffee lovers, even great grocery store coffee is simply no match for premium, boutique coffee, which helps to explain the popularity of Starbucks. Consumers don’t have to wait for the coffee to be shipped to them. Convenience is the main appeal of coffee found in the grocery store. Proof of this is K-cup coffee. 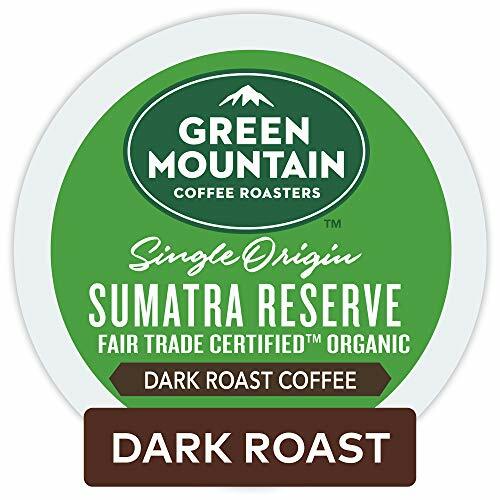 There may be many imitators on the market, but the best k cup coffee remains that which comes from Keurig’s Green Mountain Coffee brand in our opinion. It may surprise many to discover that coffee beans aren’t really beans at all, but actually seeds. They’re only called beans because of their appearance. Coffea, otherwise known as the coffee plant, is a member of the Rubiaceae family. It’s a flowering plant that flourishes in the hot, humid climates of tropical regions. Arabica coffee is the most common, as the amount of Robusta used in all the world only accounts for about 20 to 30 percent of all coffee produced. Coffea Robusta is the species of coffee plant less prone to pests and disease, but it’s still considered to be a lower quality bean than Arabica when judged according to bitterness, acidity, and flavor. The world of coffee is a large and complex one, being populated with many types of coffee, various uses and preparation methods, as well as an endless spectrum of consumers and enthusiasts. Coffee is also a topic of much debate which sometimes becomes surprisingly heated. For example, there are various opinions about which are the best coffee brands. Never has there been a time when the best flavored coffee has been unanimously named. The most expensive coffee brands in the world are offered by those who are truely enthusiastic and almost obsessive about it. These brands go far above the call of duty when it comes to growing, harvesting, roasting, grinding, and preparing coffee. For them, it’s truly an art. Their passion is something that can be tasted sip by sip. So the expense is of little consequence. What is the best coffee? It depends who you talk to. Let us know in the comments if we hit your favorite brew and please share with ones that we missed in our coffee reviews! Thanks so much for this article. It was exactly the information I was searching for.